You’ve heard about the dangers of texting while driving, drunk driving and drowsy driving. But did you know the music you listen to in the car can affect your risk of a crash? Researchers have found that music with a fast tempo negatively affects the way people drive. That means that you can still hum along to a slow tune, but you might want to save that wicked DJ set for your next workout. In one study, participants were asked to drive in a simulation while listening to various pieces of music with slow, medium and fast tempos. It turned out that, the faster the tempo, the faster the subjects drove and the more traffic violations they committed. Law enforcement generally doesn’t note whether music is a factor in crashes — indeed, it may not always be obvious — but it has been well-documented that speed is a factor in many fatal collisions. And while some drivers speed regardless of the environment, others speed only on occasion, according to a National Highway Traffic Safety Administration study. To get to your destination safely (and avoid speeding tickets), creating a safe environment must be a conscious choice. You needn’t worry if you use music to elevate your mood, as happy songs can have slow tempos, and even sad music, more typically associated with slow tempos, can have a positive effect on how you feel. In another study, researchers found that memorable experiences linked with sad music “caused intense and pleasurable experiences” that boosted the mood of some participants and, while some had negative experiences, the positive ones were more frequent. Even if you don’t control music with playlists or satellite radio, you can control your choices with a basic AM/FM radio. Flipping through stations may make what song you land on a toss-up, but research published in Ergonomics journal shows that suddenly changing a song (as opposed to gradually changing music) made for safer driving. In the study, participants started in a happy mood, with music that set the mood changing either abruptly or gradually during a simulated drive. Of course, you could plan ahead with a playlist, not only for long road trips but also for the commute to and from work and any short drives you make to run errands and get around town on a regular day. 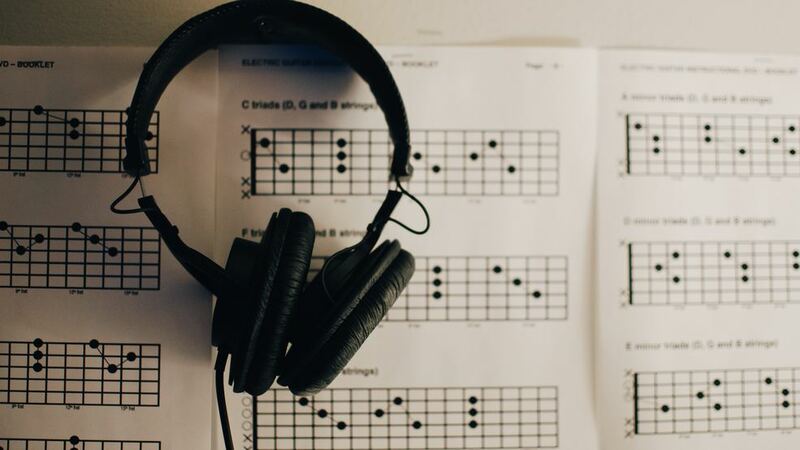 If you don’t know what slow-tempo songs would appeal to you, a quick online search will reveal lists of pop songs, love songs, rock songs, country songs and other music stylings that fit the bill. This can also be a fun way to introduce yourself to music with which you aren’t familiar. Ask friends and family for recommendations and take advantage of your driving time to expose yourself to some new slow-tempo music. By saving faster music for the gym or the dance floor, you can avoid increasing risk of collision to help keep yourself, your passengers and other drivers safe.